Determined to be as tough as you are, the 11" Tanker boot in Black Onyx / Timber features our Vibram® Commander X-5™ rubber outsole resistant to heat, oil, chipping, chemicals, and slipping offers durability, surefooted traction and outstanding performance on the toughest work surfaces. 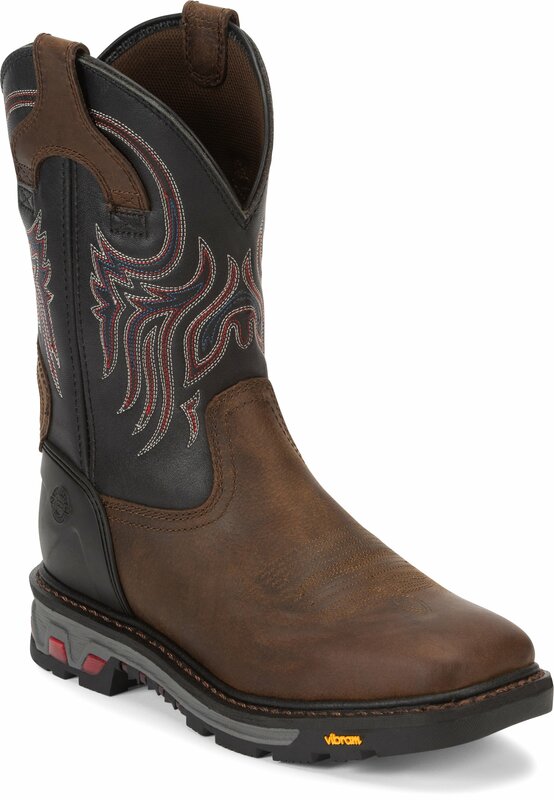 This boot is electrical hazard rated and meets the ASTM F-2892-11 standard for electrical hazard footwear. Inside, the Ortholite® insole provides all-day comfort for hardworking feet. 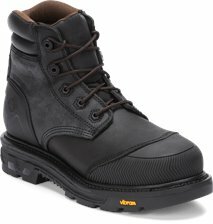 I worked in construction for a while and needed proper footwear besides my father's military boots. 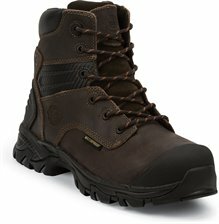 These are comfortable, reliable, and the steel toe really helps protect from any debris or heavy objects, and I mean heavy, I dropped a 300+ lbs truss on my toe and I didn't even realize it. Working long and harsh 10-12 hour days doing anything from framing, masonry, you name it, these boots were a blessing out there. 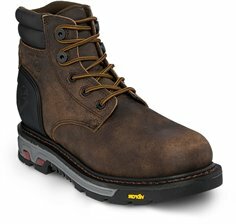 Quick tip: If you ever get concrete mix on your boots get it off as soon as possible, dries the leather out and can ruin the boot. I really like the style of the square toe, looks rugged while still being able to present casually.